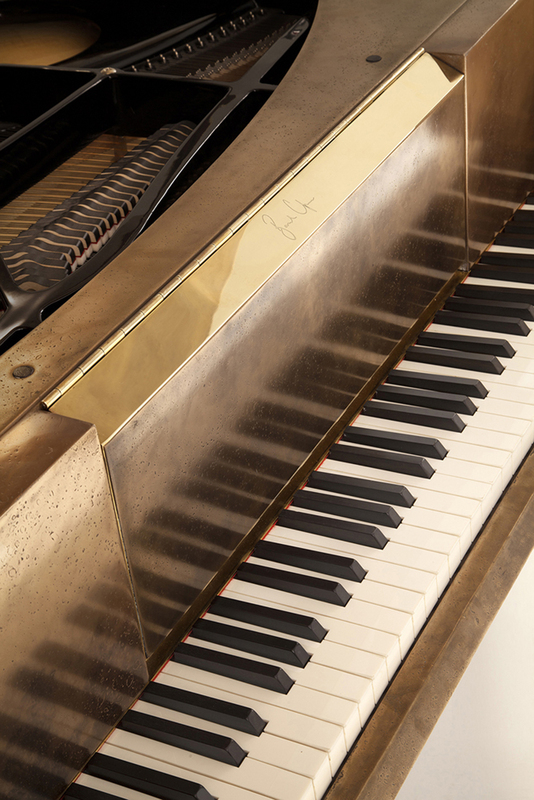 ‘The Baby’ is the latest masterpiece from the opulent series of limited edition pianos crafted by the renowned British piano brand Goldfinch, based in Cambridge. Having teamed up with a famous London based art studio ‘Based Upon’, this is a spectacular collaboration of sculpturesque art and luxury spinning craftsmanship. Shortly after shipping the much talked about Swarovski studded Crystal piano (a reborn Steinway) to a Qatari Sheikh, ‘The Baby’ releases as one of the world’s finest pianos. Its name attributes to the committed involvement of the designers and piano makers. 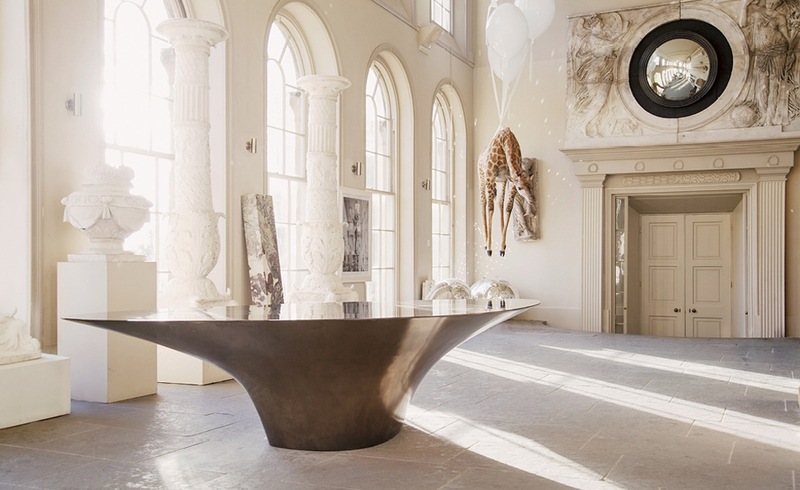 ‘The Twist’, a unique timeless Based Upon sculpture resulting after nine years of design evolution, explores the sublime bond between man and nature through finely crafted art work by celebrating itself as a table or console. 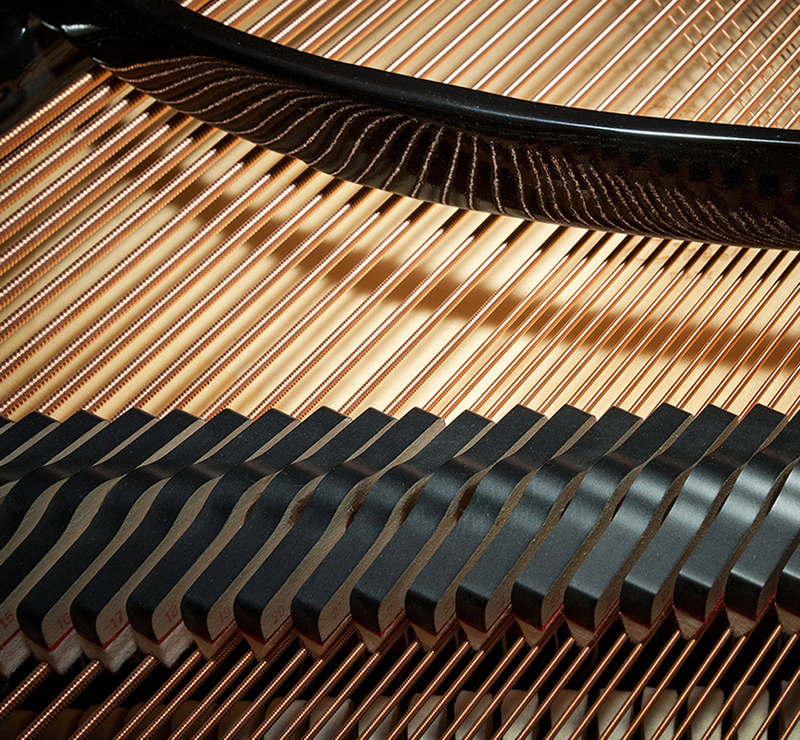 Now reimagined as an astonishing piano with a signature of luxury and innovativeness. The design is inspired from the repeating spiral patterns omnipresent throughout our universe. From star-studded galaxies to the florets in a sunflower, the fluid curves of this piano depict these mysterious waves and patterns, all so prevalent in nature. 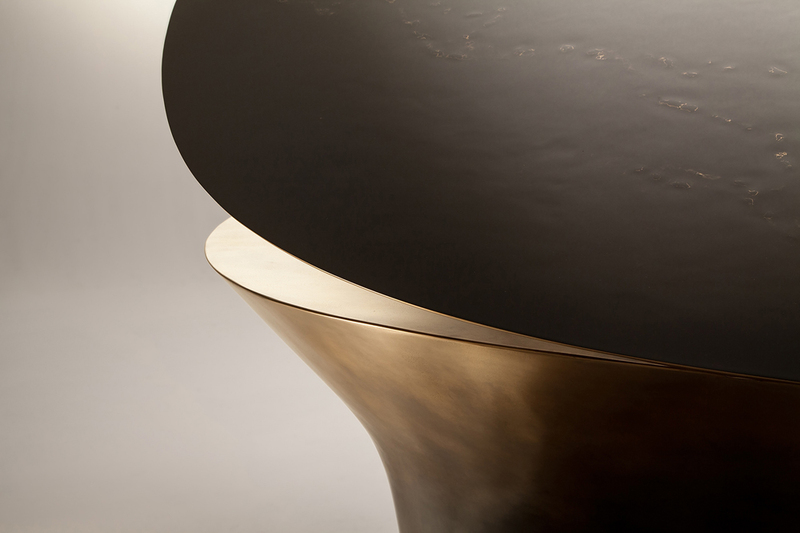 ‘The Baby’ has a unique monolithic form and a lustrous texture, achievable only by molding metallic surfaces which are indistinguishable from each other, flowing seamlessly and harmoniously. The form of the sculpture resembles a narrow-bottomed, wide brimmed tea cup (minus the handles, of course) when looked at from a side portrait angle. The dust gold metal exteriors give the piece a matte radiance, accentuating the curves and round edges of the design. The tri-oval top elevates supported onto a delicate metal rod, appearing to twist away from its base, to reveal the black and white keyboard and the connecting 230 strings. 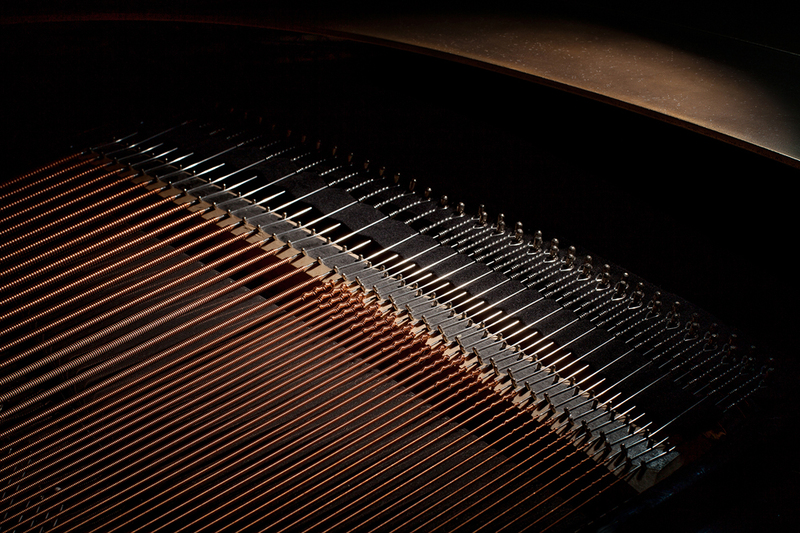 The frontal side of the piano has two circular niches affirming to the solidity of the acoustic design. 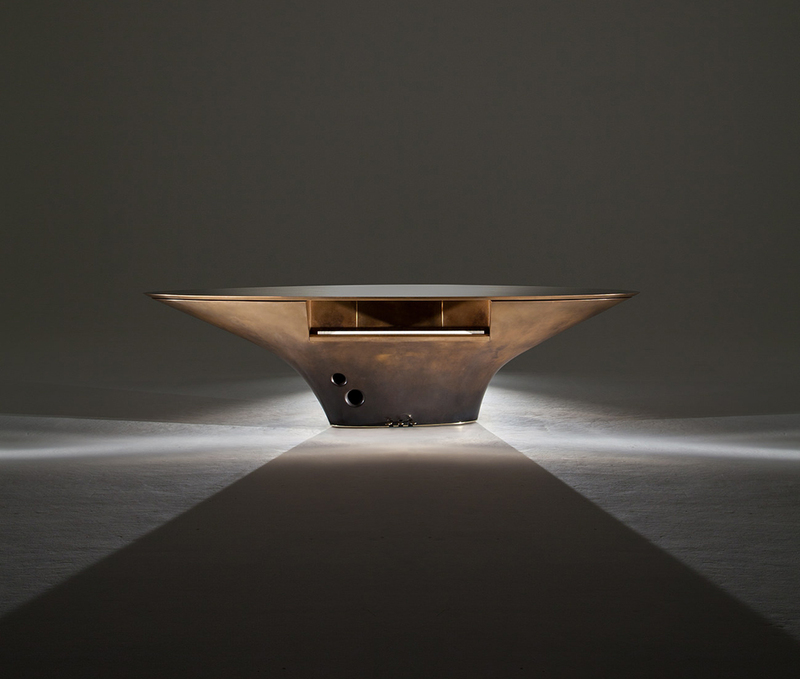 The piano is housed within a sinuous gilded housing made by an alchemic blend of polyurethane foam, glass fibre, brass, pigmented resin and liquid metal. Exclusive hand-finished metal, discreetly placed pedals and seductively tactile resins reflect the artist’s studies of the earth’s surface and scenes taken from outer space. Goldfinch, known for their rich and remarkable piano craftsmanship use premium materials, precision, calculated measurements and customizations to make their instruments some of the most sought after in the industry. Using the finest solid spruce, from the Valle de Fiemme in the north Italian Alps, Goldfinch master craftsmen employ treasured, time-honored techniques, to create the tonal heart of this and every Goldfinch piano. This luxury has its price (£475,000), but there is simply no other way to achieve that rich, velvety inimitable Goldfinch tone.